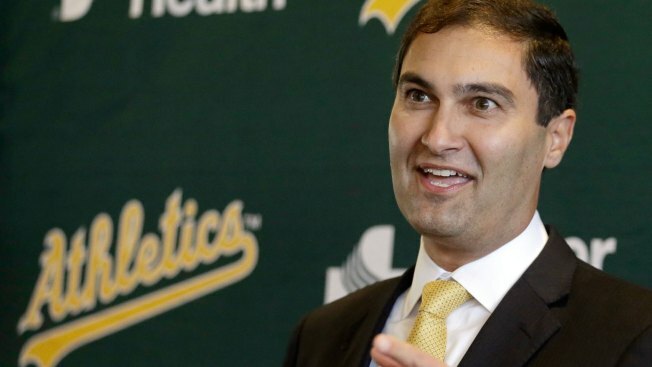 The Oakland A's new team president David Kaval says he's committed to keeping the team in Oakland. "We love the city of Oakland. We are the Oakland Athletics," he said. "We think we can build a beautiful stadium there." Kaval says he's thrilled about being named the new team president. The A's announced that managing partner Lew Wolff has stepped down and is selling his interest in the team. John Fisher will assume the managing partner role. And Kaval, the current president of the San Jose Earthquakes, is stepping in. "We're committed to the city; we're committed to working with the Mayor, the stakeholders to find a way to get a privately financed stadium built in the city of Oakland." Kaval said. Kaval is credited with transforming the Earthquakes organization, elevavating the team's image and building a $100 million privately funded stadium. Fans hope he can do the same with the A's. Kaval says the team is looking at several possible stadium sites in Oakland and is determined to find the right location and the funds to build it. "I think the number one thing we want is the stadium to be unique," he said. "Something people can really feel special about and this community can feel special about." Kaval says community involvement is key. He says he'll begin holding office hours to meet with anybody who wants to come talk to him starting next month.